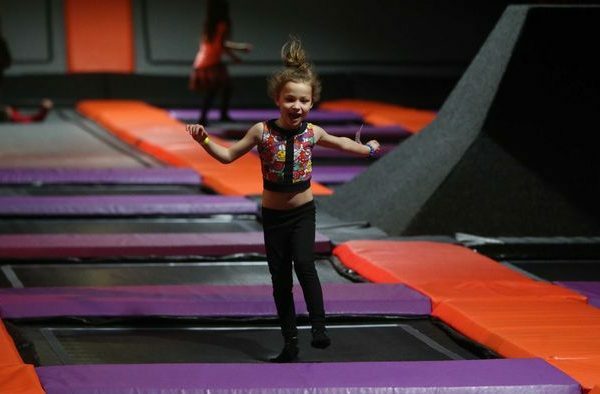 Bounce across a series of large interconnected trampolines and flip off angled walls as you enjoy the feeling of flight and weightlessness. This urban inspired concept is a craze like no other, which challenges the mind, whilst working out the body. Unlimited diving onto the airbag, endless slam-dunking at the basketball court, dodgeball in the courts, cardio zone workout, battle it out on the battle beams, unleash your inner warrior in the Ninja area! To avoid disappointment on arrival, please remember to book ahead and sign our downloadable waiver form. We also ask that you arrive 15 minutes prior to their allocated time slot for a safety briefing.